Summer reads are traditionally fat, slightly trashy but immensely absorbing affairs suitable for reading on planes and beaches. Ideally, you want something that fits those categories but - and here's the tricky part - isn't also a tiresome pile of poorly-written shite. 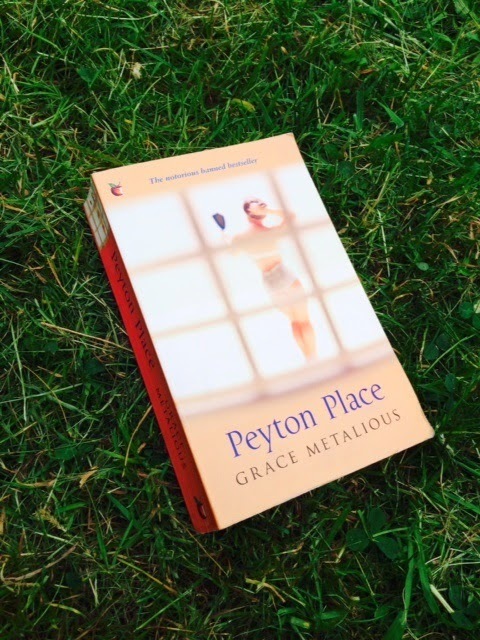 To that end, my ideal summer read is the fabulous Peyton Place by Grace Metalious. It was a colossal seller in the 1950s, and also the subject of many a library banning and numerous angry letters to newspapers simply because it was deemed to be such a scandalous potboiler. In truth, there is nothing in it that would be considered beyond the pale in a novel today, but that's not to say it's devoid of shocks, even to today's readers - it does deal with some painful and uncomfortable issues, albeit ones which are more commonly discussed now than they were when Metalious was writing. It's a long, immersive read, teeming with fascinating characters, all of whom have shameful secrets to hide as Metalious reveals the scandalous goings-on that lurk below the wholesome surface of an outwardly wholesome American town. It lifts the lid on small-town life in a way that was groundbreaking at the time, and even today, still feels almost guiltily voyeuristic at times, as if we're peeping through someone's curtains or reading their private letters. Peyton Place is greatly underrated in my opinion, often unfairly dismissed as soapy rubbish, but if anything, its more Twin Peaks than soap opera. It's a long way from your average summer bonkbuster, not just in terms of plot and character but also the quality of Metalious' prose, which is exemplary. It's also incredibly evocative of its time, so if you're a 1950s fan, it's worth reading for that alone. As far as I'm concerned, Peyton Place is an ideal summer read, so open your mind to its reputation, order yourself a Long Island iced tea, stretch out on your sun-lounger and give it a go.